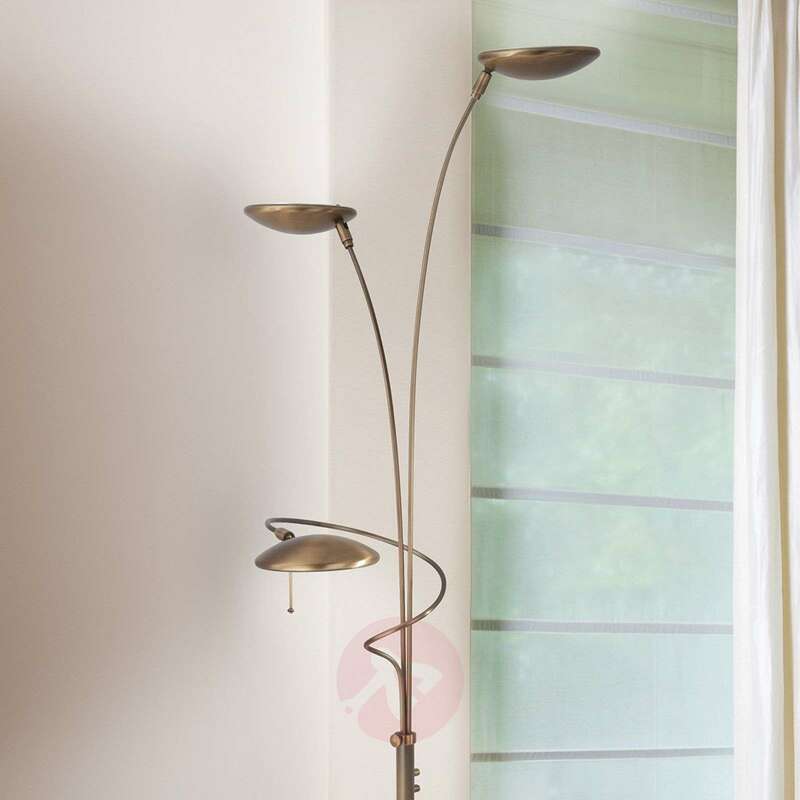 The visually very attractive LED floor lamp Diamond emits its light via two spotlights at the top and via an additional reading lamp which winds elegantly around the frame. Its pleasantly bronze colour gives the lamp a cosy overall appearance. The two lights and the reading lamp can be turned on and off by two switches attached to the frame independently of one another. 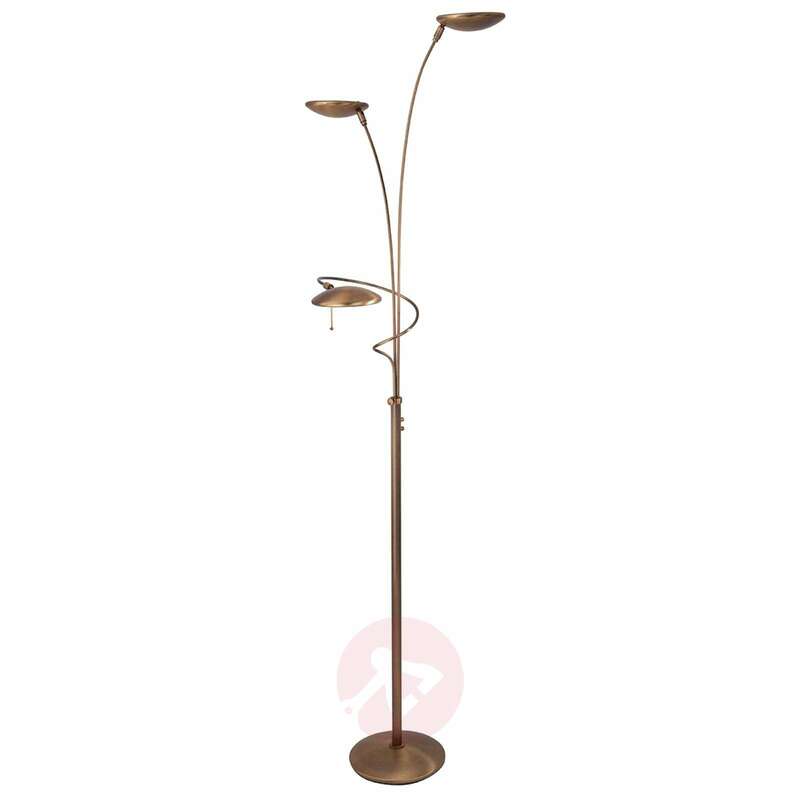 The lamp is very flexible, as it is pivotable, rotatable and height-adjustable and can thus be moved into the best possible position manually. Due to the soft LED light which is produced by the uplighter and which can also be dimmed, the lamp fits very well into a living room or into a reading corner and invites you to spend a cosy evening.